confidence and market sentiment remain strong. However, there are structural challenges ahead such as persistent low inflation and productivity growth, as well as aging and – in some countries – diminishing workforces. Economic trends abound with shifting ground, as we are in a digital age where pervasive technological advancements are disrupting markets, economies and business models. structural challenges ahead for mid-term economic growth with aging and diminishing workforces. 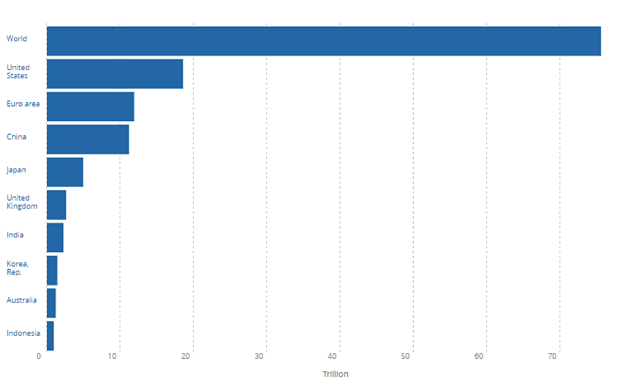 The size of the global economy is over US$70 trillion. Australia is a relatively small contributor, being worth ~US$1.3 trillion and accounting for only about 1.6% of the global economy. The Australian economy has remained relatively static as a percentage contribution to world GDP from 1990–2016. Interestingly, during the global financial crisis of 2007–2008, most advanced economies saw decreases in relative contribution to global GDP. While these economies declined in relative contribution to global GDP in 2008–2009, Australia maintained its weight. Looking forward, China and the US’s relative contributions to global GDP are showing signs of growth and improvement – China’s relative global GDP contribution is increasing at a rapid pace (as seen in 2010–2016 figures). During the same time, the Euro region and Japan are showing continual decline in relative contribution to world GDP. World economic growth, as measured by GDP, is estimated to increase from 3.2 per cent in 2016 to 3.6 per cent in 2017 and 3.7 per cent in 2018. The two primary groups contributing to this forecast are ‘Advanced Economies’ and ‘Emerging and Developing Economies’. The Advanced Economies group is forecast to grow at a moderated pace in 2017 and 2018, at 2.2% and 2.1% respectively. This moderated growth is due to lower projected US growth, under the assumption of neutral fiscal policy (not the previous expansionary policy expectations), offsetting higher projected growth in the Euro region. The forecast is for relatively strong growth, from an upwardly revised 4.3 per cent in 2016 to 4.6 per cent in 2017 and 4.9 per cent in 2018. 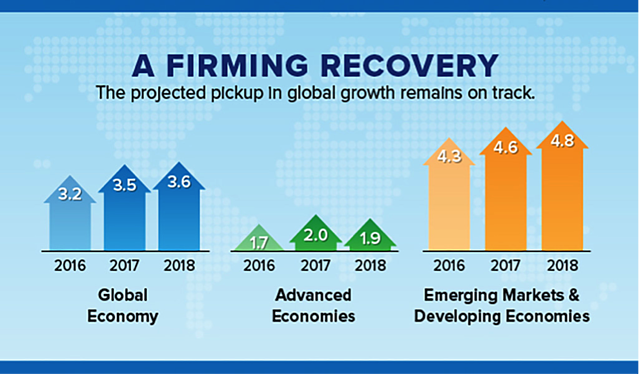 This growth forecast primarily reflects stronger projected activity in China and in emerging European economies for 2017 and 2018. In the short-term, global economic growth is gaining momentum and is broad based. However, strong and sustained medium-term growth is far from secured. Structural headwinds such as broad-based low inflation and weak wages and productivity growth in many economies – both advanced and developing – pose a risk to mid-term growth. 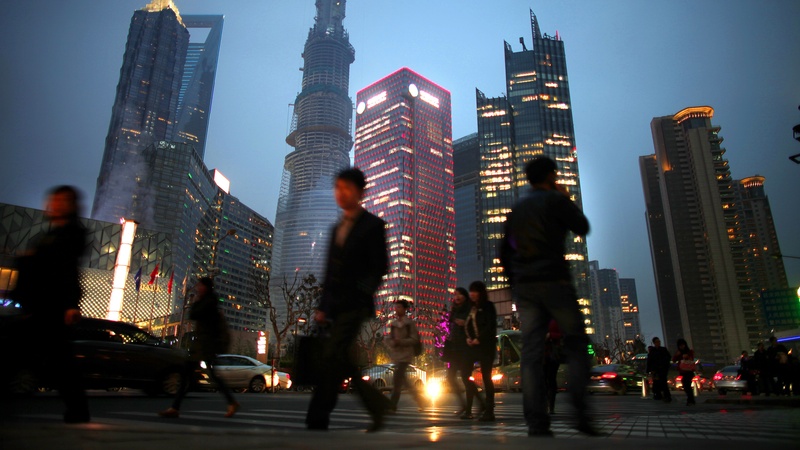 Expansionary policy undertaken by Chinese government to maintain targets of doubling real GDP between 2010 and 2020. Increasing public and private debt. Increased protectionist policies in advanced economies may lead to restriction on global trade and have possible spill-over effects. Rebalancing of the economy from industry to services and from exports to domestic sources of demand continuing. Rising standards of living – more people shifting into middle class resulting in an increasingly consumption-based economy rather than export based. Increasing environmental focus – reducing steel production in many cities which will consequently lower demand for iron. Increasing public and private debt – strong government expenditure and credit growth outpacing nominal GDP growth. India – strong government spending is driving the growth of the Indian economy. Association of South East Asian Nations – stronger than expected external demand from China and Europe. Capital inflows at favourable borrowing rates. Disruption in the financial systems in India due to recent currency exchange initiative. Launch of a national goods and services tax in India. Sudden or sharp increases in the interest rate may lead to risks of balance of payments reversals. Policy actions to sustain an accommodative fiscal stance i.e. expansionary policies to stimulate the economy. Accommodative monetary policy by Bank of Japan i.e. low interest rates. 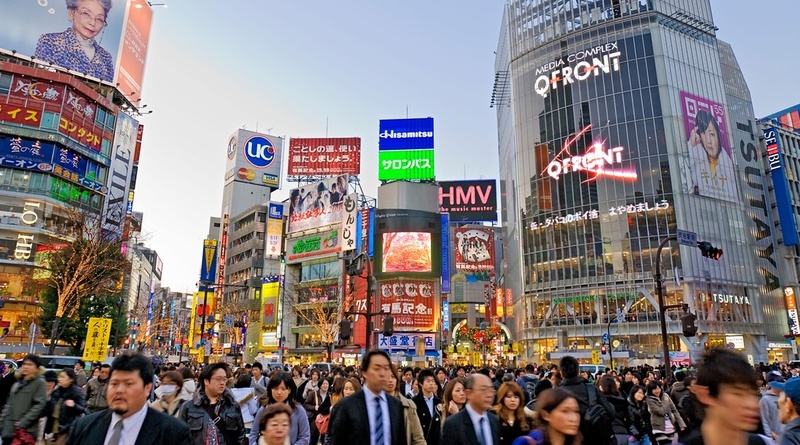 Tokyo Olympics 2020 – increasing demand from capital expenditure. Shrinking labour force – puts downward pressure on Japanese total GDP, however GDP per capita is expected to remain at current level. Structural headwinds – aging and shrinking working population resulting in potentially reduced overall GDP output in the medium to long term. Business investment gaining momentum as reflective of a shift to increasing demand for domestic machinery orders. Supportive financial conditions as well as strong business and consumer confidence are driving growth. Prospect of corporate tax cuts. Fiscal policy uncertainty – unchanged fiscal policies have resulted in downward revisions in the growth prospects of the US from previous forecasts. Productivity and workforce diminishing – sluggish productivity growth, while the US workforce is experiencing diminished growth due to population aging. Strengthening inflation and employment rates, however there is weak productivity growth and fiscal uncertainty. Economic slack remains, as reflected in underemployment and unused capacity in manufacturing above levels of earlier cyclical peaks. However, slack is diminishing and the unemployment rate is close to its estimated long-run equilibrium. Pick-up in global trade – exports from Europe are accelerating. Accommodative financial conditions i.e. loose, easy monetary policy and low interest rates providing cheap money and accommodative financial conditions for expansion, for countries and firms alike. Diminishing political risk and policy uncertainty. Public and private debt overhang in some economies. Increasing private and consumer confidence. 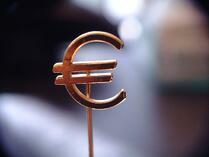 Low core inflation rate and expectations – below the European Central Bank targets. Oil production cuts expected to continue to March 2018. However, oil prices are anticipated to remain relatively low due to stronger than expected oil production in countries exempt from OECD oil production cuts – US shale oil production and production recoveries in Libya and Nigeria. Cutbacks in coal production in China, as well as sporadic labour disputes in coal mines in Australia, have put upward pressure on coal prices. Continued policy-driven expansion in China expected to keep coal prices buoyant. Iron ore prices forecast to slow in 2018 with China reducing steel production in line with environmental targets. Gold prices under pressure due to anticipated December US interest rate hike and as a reaction to increasing global real interest rates. Short-term, broad-based global economic recovery reduces demand for gold in western economies, leaving a gap in the demand side and leading to further price pressures. Medium- and long-term financial, economic and geopolitical risks result in a bullish outlook for gold in the long-term. Global commodity market conditions, as well as macro-economic and policy developments, likely to influence agricultural price trends in the medium term. 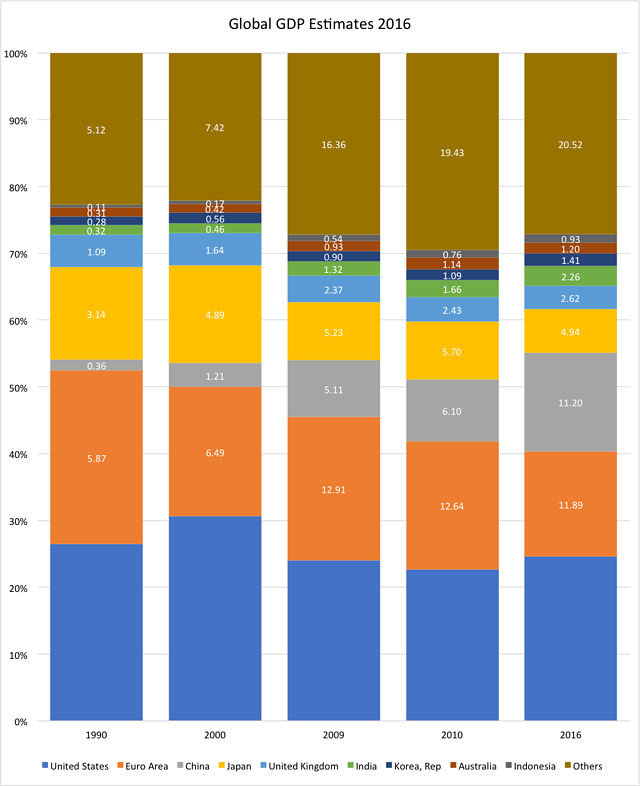 Population growth in developing countries is the dominant driver of global food consumption growth. The world’s population is projected to rise from 7.4 billion in 2016 to 8.1 billion in 2025, with 95% of this increase occurring in developing countries. Along with global supply and demand, trade of agricultural commodities is expected to expand at a slower pace than in the previous decade. This slowdown in growth is broad based (from wheat to meat). The main driver of the moderated growth is primarily due to a slowdown in emerging economies. Protectionist policies in some emerging markets to target ‘self-sufficiency’ objectives (i.e. China and India), weigh down generally on agricultural commodity trade growth. meat prices are likely to decline in the short-term as producers respond to lower feed grain prices. This Global Economic Outlook has been prepared by JPAbusiness business analysts Phillip James and Alex Dzang. 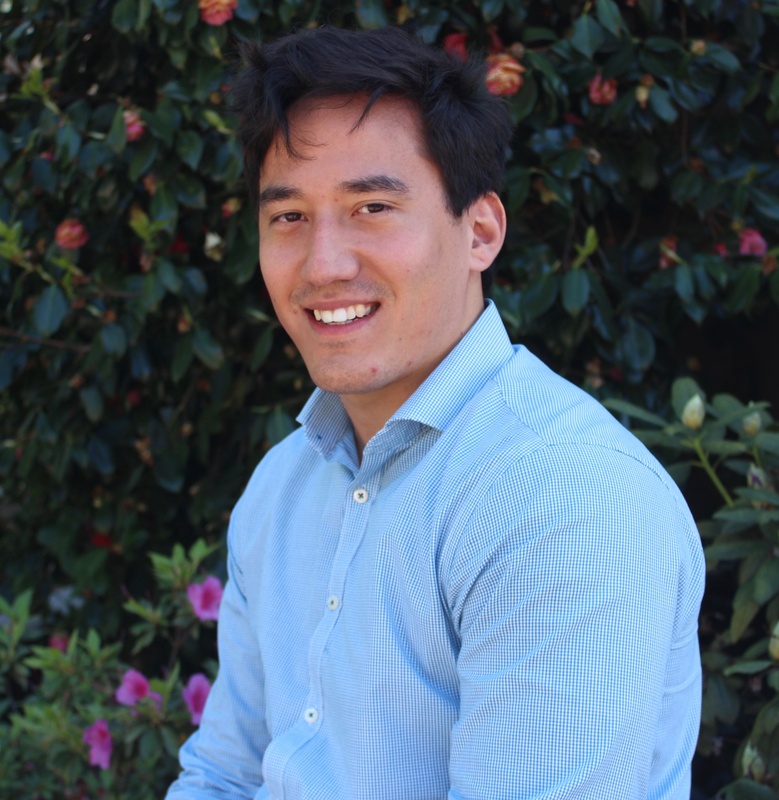 Prior to joining JPAbusiness, Phillip (pictured above left) studied at the University of Canterbury, New Zealand, where he graduated with a Bachelor of Commerce, majoring in Economics and Finance. OECD, September 2017 – Short term momentum: Will it be sustained?